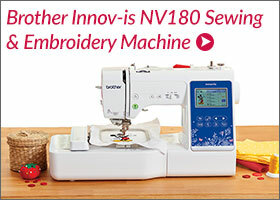 Discover a fun new charity sewing or embroidery project each month! Hemingworth® embroidery thread is not only vibrant and glossy, but also strong and colourfast. The protective cap preserves thread quality by blocking dust, oil and other harmful elements. The removable stopper traps thread, preventing unraveling and tangling during storage. Delivering thread smoothly off the spool during embroidery —decreasing both snagging and thread breaks. Only $6.95 each spool, which contains 1000 metres of hi-sheen polyester embroidery thread. View the wide range of Hemingworth colours available online. Get creative with your spools! What’s great about these thread spools is that you don’t have to throw them out once you’ve finished using them. You can turn them into creative projects to use around the house including sewing notion storage, gift ideas, gardening projects, decorations and much more! Check out some of the creative projects that Leanne Church our Echidna Melbourne Store Manager has done with her used Hemingworth Spool and Caps systems. You’ll be amazed! The Standard Tote and Wine Cooler Tote is an easy, versatile pattern that is great for beginner sewers. Combined with the Floral Jacobean embroidery design you can get creative, mixing up the colours and styles of both the bag and the embroidery design. We have created two bags with two different patterns for you to use. 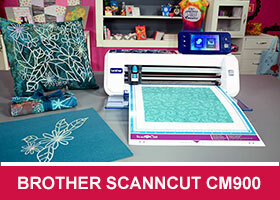 Here are some common problems you may have while using your embroidery machine. This handy guide provides suggestions that may be of some assistance. Introducing the Easy As 1-2-3 Cushion from Embroider Buddy. Easily embroider these cushions by simply opening up the four triangle sides and inserting your hoop inside. 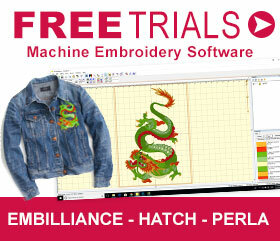 You can embroider the front or back in a number of creative and fun ways! These Embroider Buddy Cushions (inserts not included) are made using the finest finish, designer colours, elegant material and hidden Velcro making them a perfect addition to your home. Otherwise custom design these cushions to give to friends or family. Create this cute iPad case with front ruffle and snap button. Plus, you can also embroider this free 130 mm x 150 mm (5″ x 7″) Koi Fish design thanks to John Deer and his Ultimate Stash Collection. Print out the free downloadable iPad Case pattern (pdf, 538kb) Make sure to press “print to scale” when printing. 0.7m x .35m outer fabric – thicker fabrics such as denim, linen or cotton blends would be ideal. 0.7 x 0.5m lining & ruffle fabric – cotton or cotton blends would be ideal. 0.7 m x 0.35m thin wadding material or iron-on pellon. 1 x button – to match your lining/ruffle material.